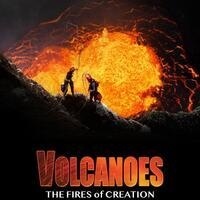 Volcanoes: The Fires of Creation is a tale of science, culture, and thrilling adventure. Earth is a planet born of fire. For billions of years, volcanoes have helped forge the world we know. From the continents to the air we breathe and even life itself, all have been shaped by volcanic energy. These processes have created extraordinary ecosystems and wildlife habitats. With over 500 active volcanoes, the Earth is bursting at the seams with these forces of mass construction. The story of volcanoes is the story of the planet’s creation and the story of us. Call 814-838-4123 for more information. Movie titles and showtimes are subject to change without notice.